Have you ever stopped to wonder whether a favourite hill is really a previously unclassified mountain? What the most northerly spot in Britain is like during the dark winter months? Or even whether white is really white? 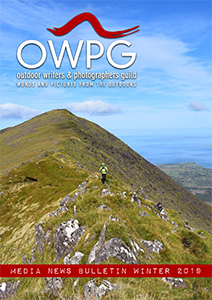 Various members of OWPG have, and you can find their answers – and more – in the latest edition of Outdoor Focus. Read this issue either in a web browser here (this option needs Flash to be installed) or as a PDF by clicking here. It’s a strange fact but my 25-year friendship with the distinguished Scottish access campaigner and writer Rennie McOwan, who has died aged 85, began with a heated argument conducted in an inflatable boat speeding up an icy fjord in Arctic Svarlbard. As Rennie and Hamish Brown compared the surrounding, snow-clad peaks with the ones at home in the Scottish highlands, the discussion turned to National Parks for Scotland. As a former National Park employee and a long-time supporter of the idea, I found myself at odds with both Rennie and Hamish. But from that initial disagreement sprang a mutual respect and lasting friendship that I’ll always treasure. I never needed to mention the fact that Scotland eventually gained two National Parks (in the Cairngorms and Loch Lomond and the Trossachs), because Rennie was also a pragmatist whose undying love of the Scottish hills and their protection for future generations was ingrained in his very soul. It would be no exaggeration to say that Rennie McOwan was the Percy Unna of his generation, such was his campaigning zeal for the freedom of access to the Scottish hills. Percy Unna was a great wilderness campaigner and generous benefactor to the National Trust for Scotland in the 1930s, who famously set up a list of rules which Rennie, as a former Deputy Press Secretary with the NTS, always strenuously upheld. The Unna Rules were intended to ensure that land which was held on behalf of the public should be preserved for their use in a primitive condition, without development or active management. Rennie fell out with the NTS over this principle, notably in Glencoe, scene of some of Unna’s greatest bequests, over the construction of the footbridge leading to Coire Gabhail (the “Lost Valley”), and a proposed visitor centre near the Clachaig Inn. Rennie, like me, was a journalist by profession, starting as a cub reporter with the Stirling Journal before moving on to The Scotsman as a sub-editor and later Scottish Desk Editor at the age of 23. He regularly contributed to Scottish newspapers and magazines, notably The Scotsman, Scotland on Sunday, and the Scots Magazine. He was a founder member of The Scotsman Mountaineering Club, now the Ptarmigan Club, of Edinburgh. He later became president of Ramblers Scotland, appropriately in the year that the Scottish Parliament passed what is widely regarded as some of the finest access legislation in the world with the Land Reform Act (Scotland), 2003. Rennie had played a key role in getting that legislation onto the Statute Book. His old friend the late Irving Butterfield claimed that Rennie’s finest hour was when he was invited to address the Landowners’ Federation at the launch of the temporary Access Concordat in 1996, which preceded the 2003 legislation. In 1996, Rennie was awarded an honorary doctorate by Stirling University, where he lectured in film and media studies, for his contribution to Scottish literature and culture. He was awarded the Provost of Stirling’s Civic Award for Arts and Culture, and in 1992, was the founder of the Friends of the Ochils. Rennie was one of the leading outdoor writers in Scotland in the Sixties… but for many years had been seriously ill and not able to follow his dreams of hills, travel, meeting people and above all, his writing. He was a doughty supporter of the Scottish landscape against the crass developments that appeared and he was interested in history and the natural world. We shared a great affection for the Ochils, hills we lived under at their east and west ends. The late Walt Unsworth, president of the Guild, presented Rennie with the Guild’s coveted Golden Eagle award at our annual dinner at the Moat House Hotel in Harrogate in 1997. Always the proud Scot, Rennie turned up in a kilt in the McOwan tartan. Typically, in his acceptance speech, Rennie appealed for the Guild to set up a working group to look into the whole question of access to the countryside of Britain. Rennie always took a keen interest in introducing young people to the hills and regularly visited schools and colleges as a lecturer under the Scottish Arts Council’s “Writers in Schools” and “Writers in Public” schemes. Ironically, Rennie’s great grandfather Donald Ross was a legendary chief stalker on the Duke of Portland’s Caithness estate. Born in Hillfoots, Rennie had his first brush with the lairds and their stalkers as a member of the Menstrie Scouts. He later lived in Stirling with Agnes, his loving wife of nearly 60 years, in the shadow of his beloved Ochils, and was a long-suffering and life-long supporter of Stirling Albion FC. In later years he suffered from Parkinson’s disease and his increasing ill health and poor vision robbed him of his greatest joy of striding the hills, especially his home ground of the Ochils. The couple had four children: Lesley Andrews, who runs Rowan Tree Publishing, which has re-published Rennie’s children’s books; Michael, who lives with his family in Tasmania; Tom and Niall. The couple have five grandchildren. Hillgoers throughout Scotland and beyond owe an enormous debt of gratitude to the kindly and generous Rennie McOwan, who fought so long and hard so that they could enjoy the freedom of the hills we have today. Chris Packham has declared himself determined to step up his campaigning after receiving the OWPG Golden Eagle Award for distinguished services to the outdoors. The naturalist, author, wildlife photographer and presenter was given the award during a presentation made by guild chair Peter Gillman and his wife Leni, guild meetings secretary. In a brief presentation speech, Peter said that the guild members had selected Chris for the award as someone who has been in the vanguard of boosting public awareness of vital environmental issues. He has become an outspoken champion of causes such as opposing badger culling, fox-hunting, driven grouse shooting, the slaughter of migrating birds on Malta and the illegal persecution of raptors. He has done so in the face of powerful opposition and has been courageous in using his own high public profile to take a stand on a range of vital issues. Chris is working with Caroline Lucas, Green MP for Brighton, with the aim of creating strategic alliances across the environmental sector. The pair hope to bring NGOs together so that they act in a more unified way. He comments: “I’m trying to be the umbrella, get them into a room together and show them that there is a commonality”. The Golden Eagle Award presentation took place at Kensington Town Hall, where Chris was fronting an evening devoted to wildlife travel and photography in tandem with Paul Goldstein of Exodus Travel. The award consisted of an original water colour painting by guild member David Bellamy. Chris said he was “flattered and honoured” to receive the award, and that the guild had been “very kind” to him. He also admired the David Bellamy water colour – an evocative painting of Clougha Pike in the Forest of Bowland, with a hen-harrier gliding just below the summit to highlight Chris’s work combatting the illegal harrying of these birds. “I’m very impressed and very grateful – it’ll look great on the wall,” he added. Chris Packham has been honoured by the Outdoor Writers and Photographers Guild (OWPG) for distinguished service to the great outdoors. The naturalist, television presenter and author received the 2018 OWPG Golden Eagle Award, winning an original watercolour by Guild member David Bellamy. Chris is a long-term champion of outdoor causes. He has campaigned vocally against badger culling, fox hunting, driven grouse shooting, the slaughter of migrating birds on Malta and the illegal persecution of raptors in the UK, frequently endangering his own presenting career in the process. His nature programmes have helped boost public awareness of environmental issues. Earlier this year, his autobiography Fingers in the Sparkle Jar was also voted the UK’s favourite piece of nature writing. Chris will join a star-studded line-up of Golden Eagle Award winners, including Sir Chris Bonington, Doug Scott, Sir David Attenborough and Bill Bryson. His prize – a David Bellamy painting – will be presented in November. The Outdoor Writers and Photographers Guild (OWPG) has announced this year’s Derryck Draper Award winner. Garmin received the prestigious accolade for its InReach Mini Satellite Phone and GPS, which was commended by a panel of the Guild’s expert gear testers. The Derryck Draper Award is given in memory of Derryck Draper, one of the Guild’s founder members. It aims to recognise outstanding innovation in outdoor equipment design and celebrate the OWPG’s close association with the outdoor gear trade. Each year, a panel drawn from the Guild’s experienced gear testers looks at the new products coming on the market and selects a winner. 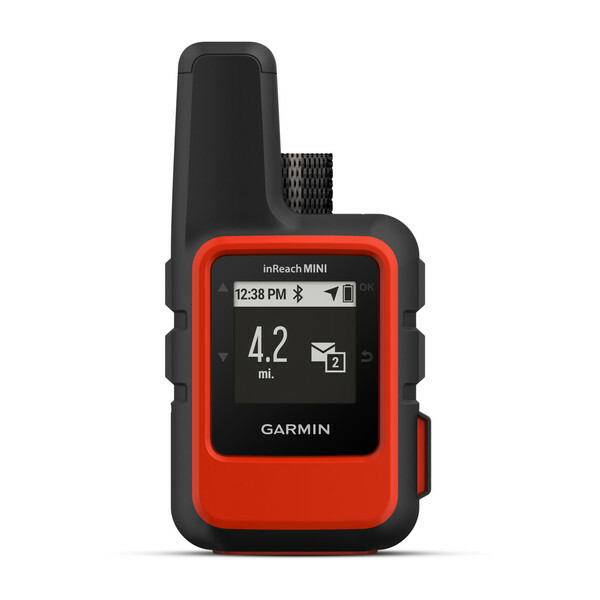 This year, the testers felt that the Garmin InReach Mini was a clear winner. Garmin was presented with the Derryck Draper Award at the OWPG’s annual AGM weekend. To find out more about the Guild, please see “About Us”, “Need Content” and “Join Us” from the menu above. Members of the Outdoor Writers and Photographers Guild (OWPG) will gather at Simonsbath House in Exmoor over the weekend of 12th-14th October to celebrate the annual Awards for Excellence. The Awards aim to recognise outstanding achievements in outdoor journalism across six categories: Outdoor Book, Guidebook, Outdoor/Travel Feature, Technical Feature, Digital and Photography. This year saw 66 entries submitted by 30 different members. As well as celebrating excellence within the Guild, the Awards weekend will honour outstanding contributions to the outdoors world with two prestigious external awards. The Derryck Draper Award rewards outstanding innovation in outdoor equipment design. Commemorating one of the Guild’s founding members, it sees the most ground-breaking products on the market assessed by a panel of expert gear testers. The Golden Eagle Award is given annually for distinguished service to the outdoors. Past winners have included Bill Bryson, Sir Chris Bonington, Doug Scott, Sir David Attenborough and John Grimshaw. The winner receives an original watercolour painting by Guild member David Bellamy. This year’s Awards will be held at Simonbath House Hotel in Exmoor. Members will enjoy a packed programme of events and activities, including workshops, film screenings, horse riding, gin tasting and archaeology walks. In this issue of Outdoor Focus, with a autumnal cover by David Forster, Jon Sparks is your guide through the challenging issue of rights of way, Tony Howard takes you along the Jordan Trail, Ronald Turnbull helps you get your head around the histogram, OWPG says a fond goodbye to Kate Spencer, and, in a new series, OF introduces the companies and organisations that share OWPG’s aims and values – in this issue: Aquapac. To read Outdoor Focus in a web browser click here (requires Flash). 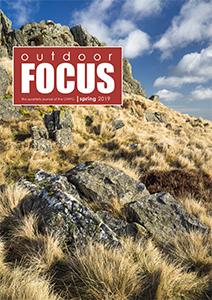 You can also download a PDF version of Outdoor Focus – to read offline on PCs, tablets or smartphones – by clicking here.